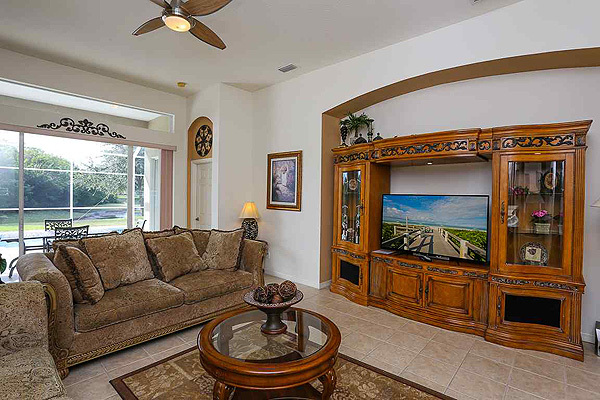 A large 5-bedroom 3-bathroom luxury home with extended family room, seating and dining for 10 people, private pool with cabana bath and relaxing lakeside views located in a quiet residential community close to all attractions. 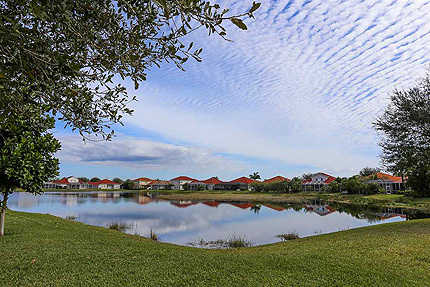 You will find outdoor activities to suit everyone, whether it be boating, shelling, snorkeling, windsurfing or eco-tours. 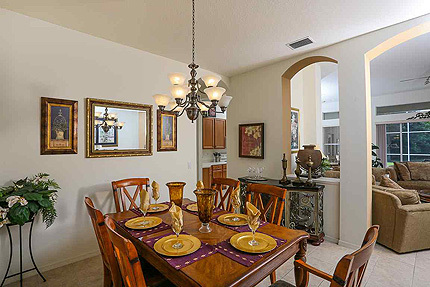 Enjoy shopping for designer labels just a short drive away in Sarasota or Stylish St Armands Circle. 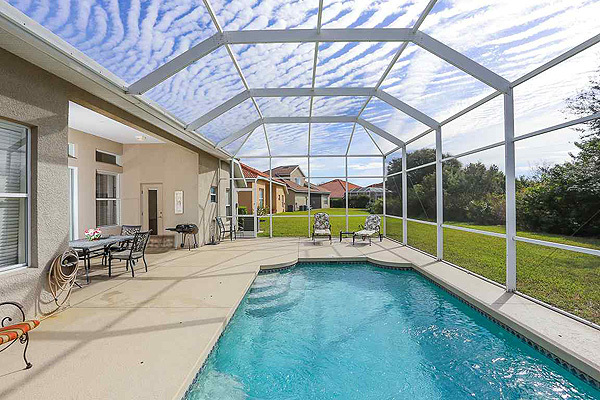 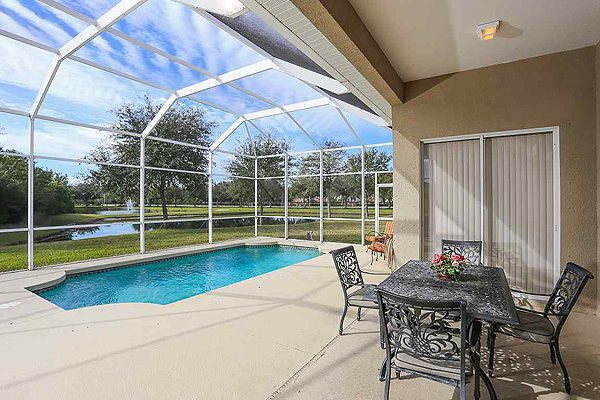 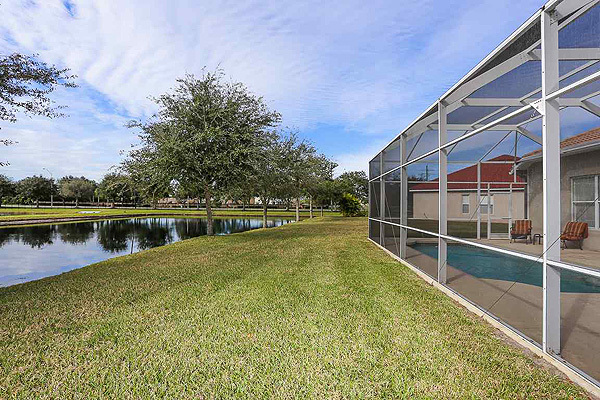 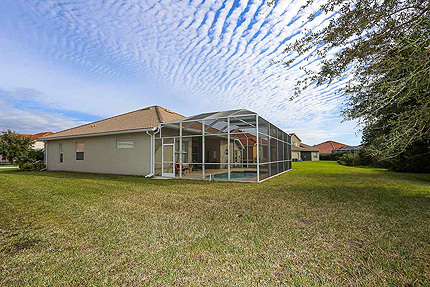 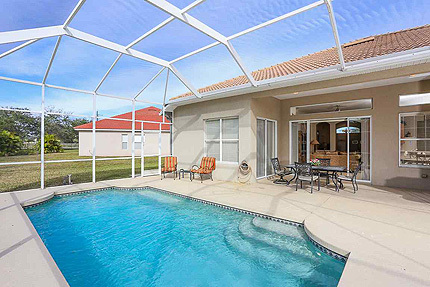 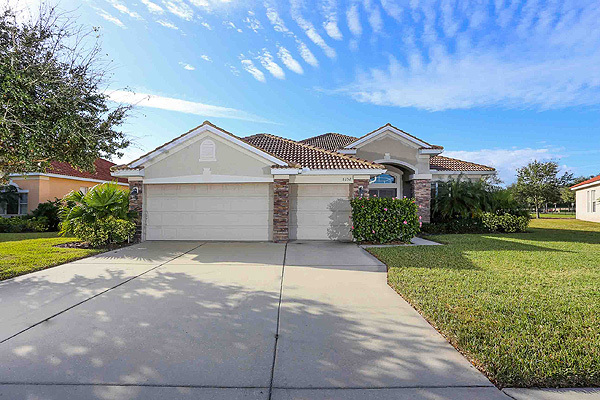 Play golf or just walk the nature trails - your home is a short drive away from excellent golf courses and Ideally located for visiting, St Petersburg, Tampa, Busch Gardens, Orlando and all the areas gulf beaches. A large 5-bedroom home featuring two separate family areas, seating and dining for up to 10 people and is thoughtfully furnished in a sophisticated classical style throughout. 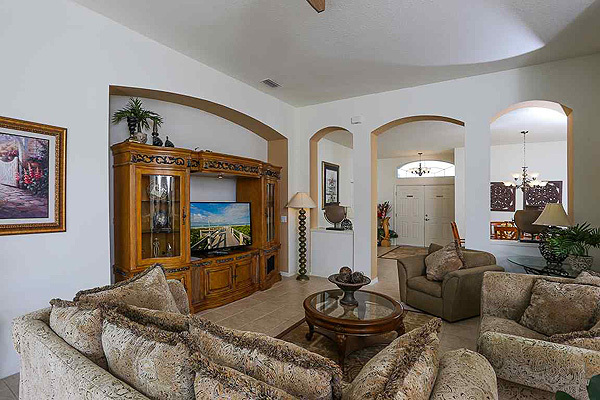 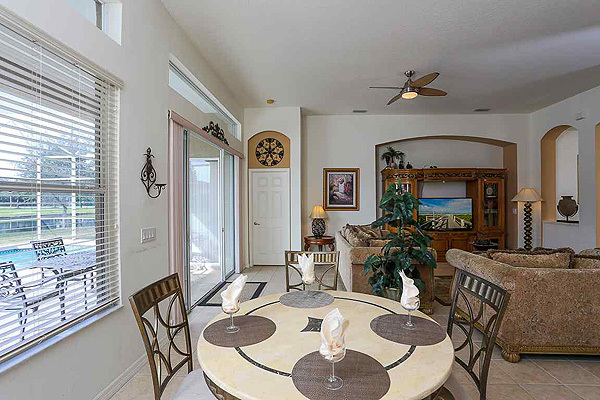 The large family room has tiled floor, overhead ceiling fans and sliding doors leading directly out to the pool and sundeck. 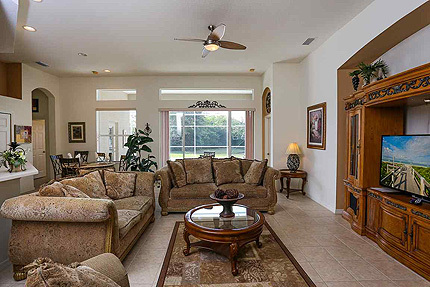 Comfortable sofas and armchair provides ample seating for all and a wide-screen TV completes the living area. 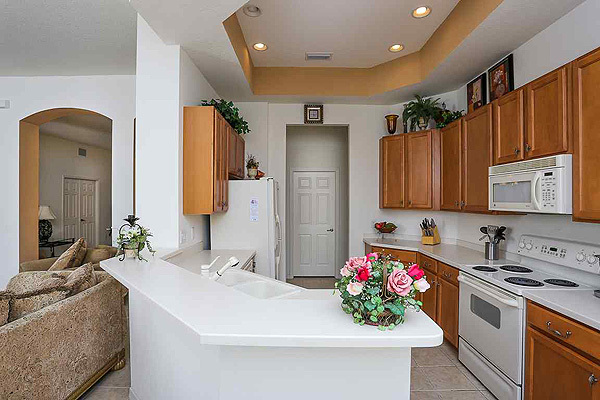 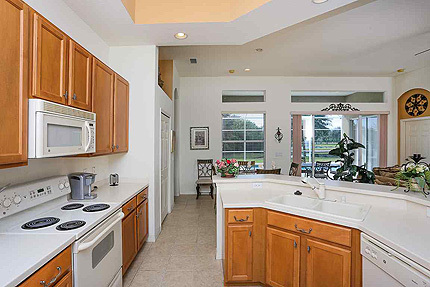 The spacious kitchen caters to any chef, outfitted with the latest culinary technology and featuring a large pantry and separate laundry room with family washer and dryer. The well-appointed kitchen includes all major appliances, electric stove, microwave oven, dishwasher, and refrigerator with automatic icemaker and freezer and is extensively equipped for the maximum number of people. Separate formal, casual and outdoor dining areas provide a multitude of dining options. Take a swim, relax and enjoy the natural beauty that surrounds you. 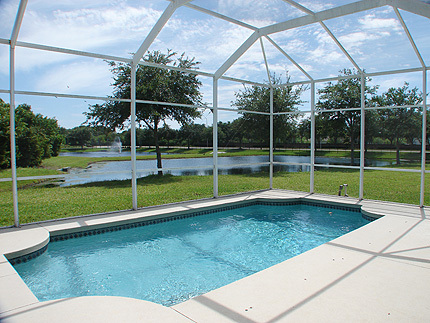 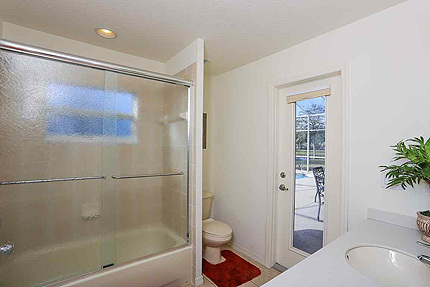 Your own private swimming pool includes access to the cabana bathroom and is fully screened for protection and privacy. 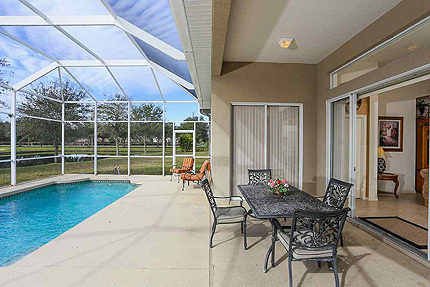 A shaded outdoor dining area poolside is fully equipped with dining table, seating and sun loungers. Feature: Up-scale community ideally located for downtown Sarasota gulf beaches and all the area attractions. 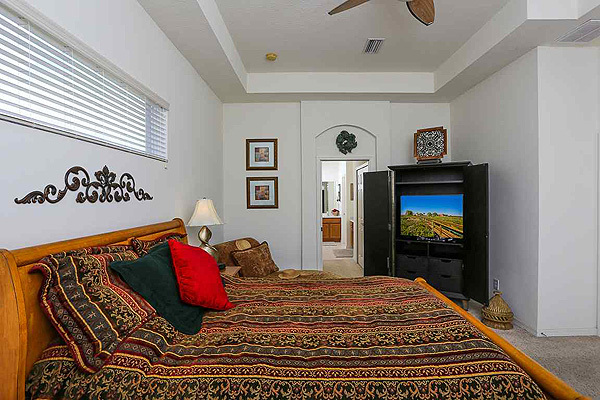 Master bedroom suite features king-size bed, full size dresser, wide-screen TV, overhead ceiling fans, twin closets and access to the pool area. 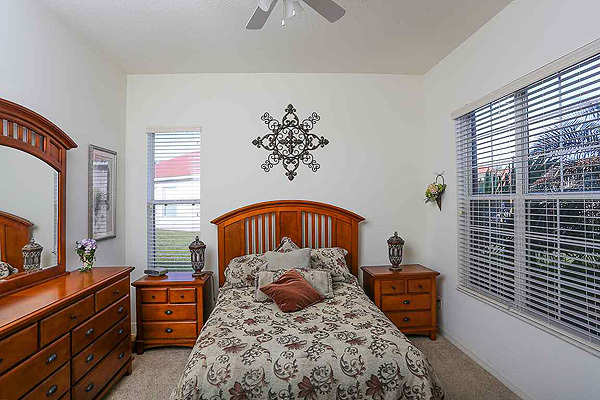 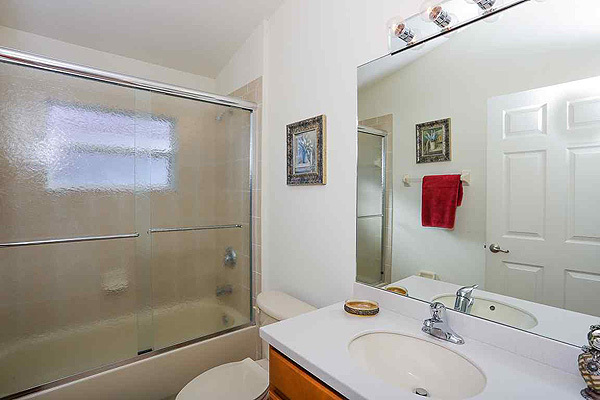 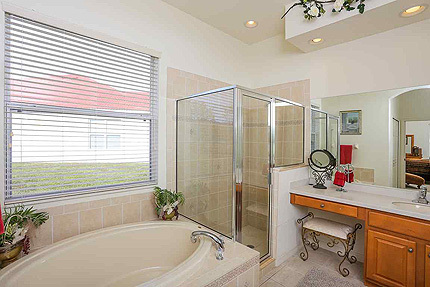 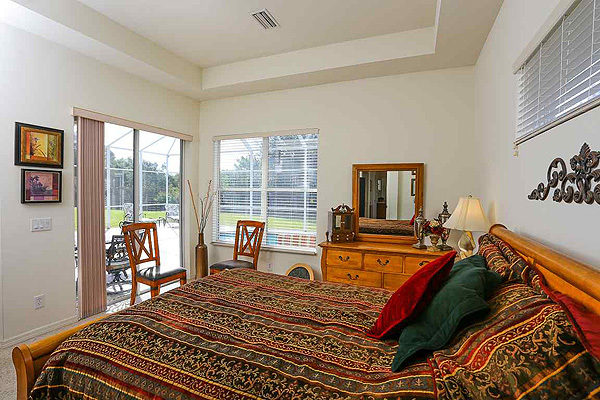 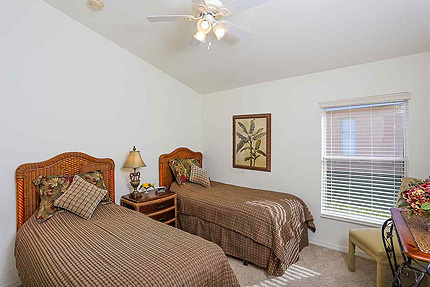 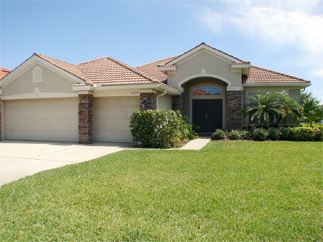 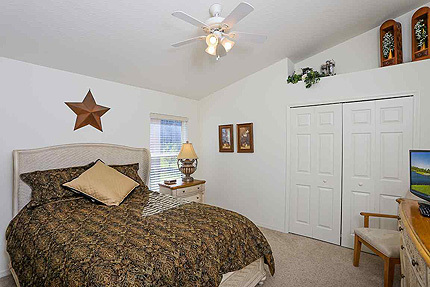 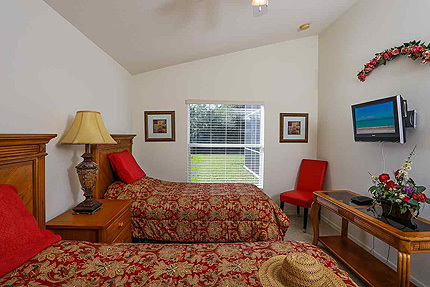 Features queen-size bed, full size dresser, overhead ceiling fans, walk-in closet. Sorry we do not have a video of South Point at this time.